The Flash and Supergirl might be teaming up for a crossover in 2016. Bleeding Cool reported on the crossover possibility on Thursday. On Friday, the site updated their report by saying that Supergirl receiving a full season order from CBS could be contingent on The Flash crossover happening. 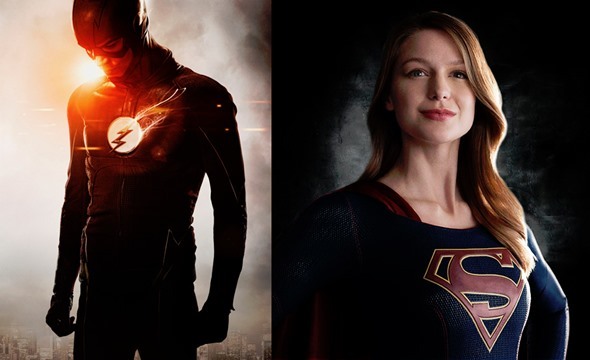 The Flash and Supergirl are both from Greg Berlanti, so a crossover is not out of the question. Matt Ryan’s Constantine just appeared on Arrow after all, and Constantine originally appeared on NBC. That means the possibility of a crossover of The Flash and Supergirl is not too farfetched. However, there have been rumors of Tom Welling bringing his Superman from Smallville to The Flash during season two as well. Realty Today reported on those rumors again earlier this week, but the rumors have been circulating since the summer. An appearance by Tom Welling as Superman would connect The Flash and Supergirl even closer together. At this point, Superman has only been seen in shadow or flying off from the scene when Kara lands herself in trouble on Supergirl. Clark and Kara have even chatted online during a recent episode. Would you want to see a crossover between The Flash and Supergirl? Tell us what you think. More about: Supergirl, Supergirl: canceled or renewed?, The Flash (2014), The Flash (2014): canceled or renewed?